The Premium Dock is designed with the quality and ease of use first. That’s why when you look at the build quality, materials and design the value is instantly apparent. 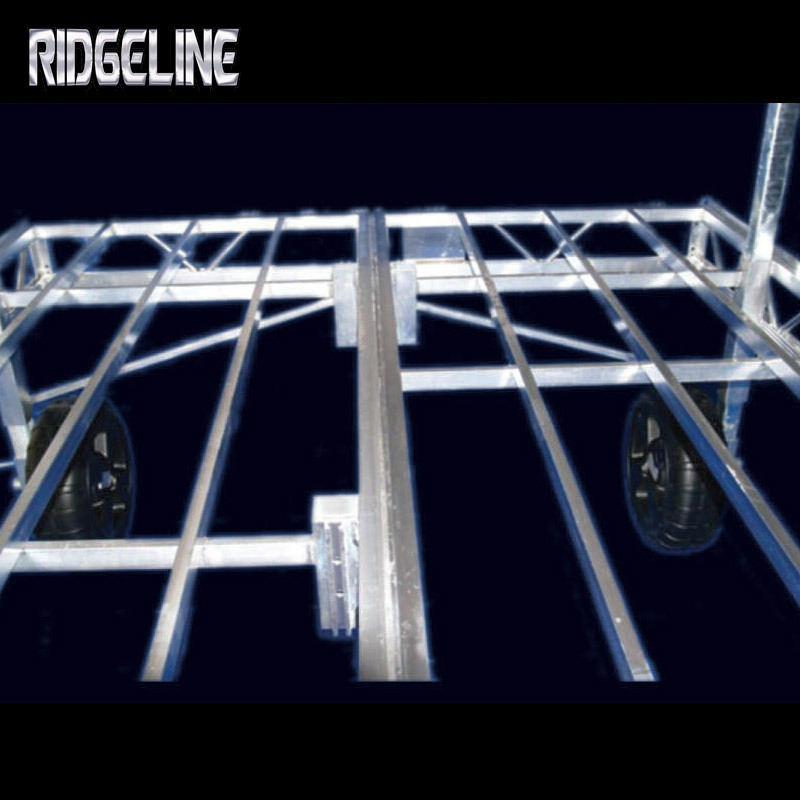 Order your configuration with our Quick-Button Hinge Kit between each section, and wheels on every section for quick in-and-out of your shoreline. 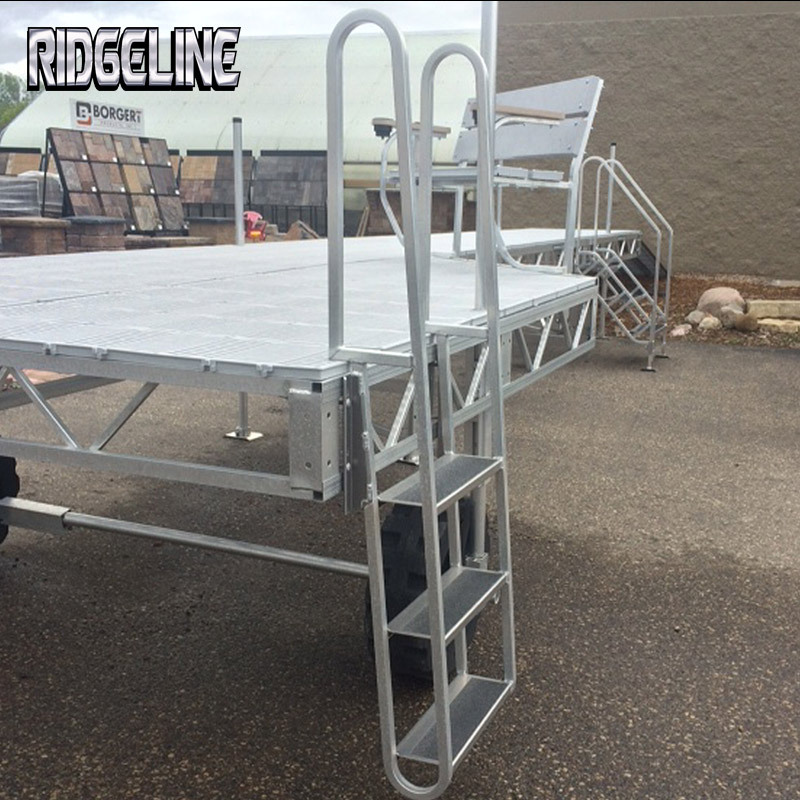 Add on our accessories to complete your custom configuration and start enjoying the lake with Ridgeline for many years to come. 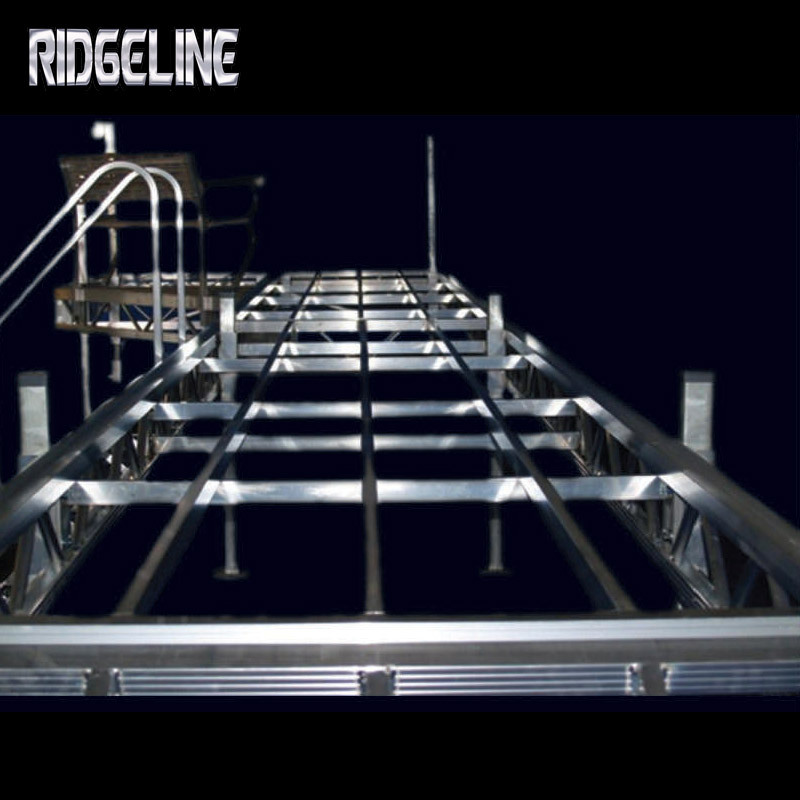 Years of in-house development and shoreline testing have delivered an uncompromised level of quality. 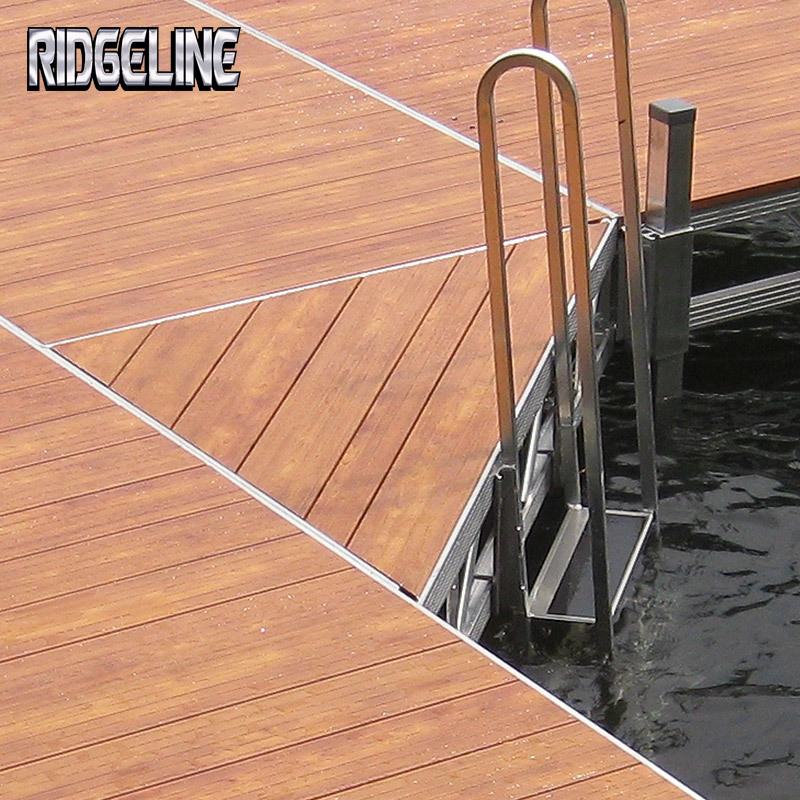 Smart design features and simple usability hacks make our docks the best value in and out of the water. Every Premium dock feels sturdy – no matter where you step. Over built? Nope. That’s just standard build quality. It’s as firm as the ground you stepped off of. 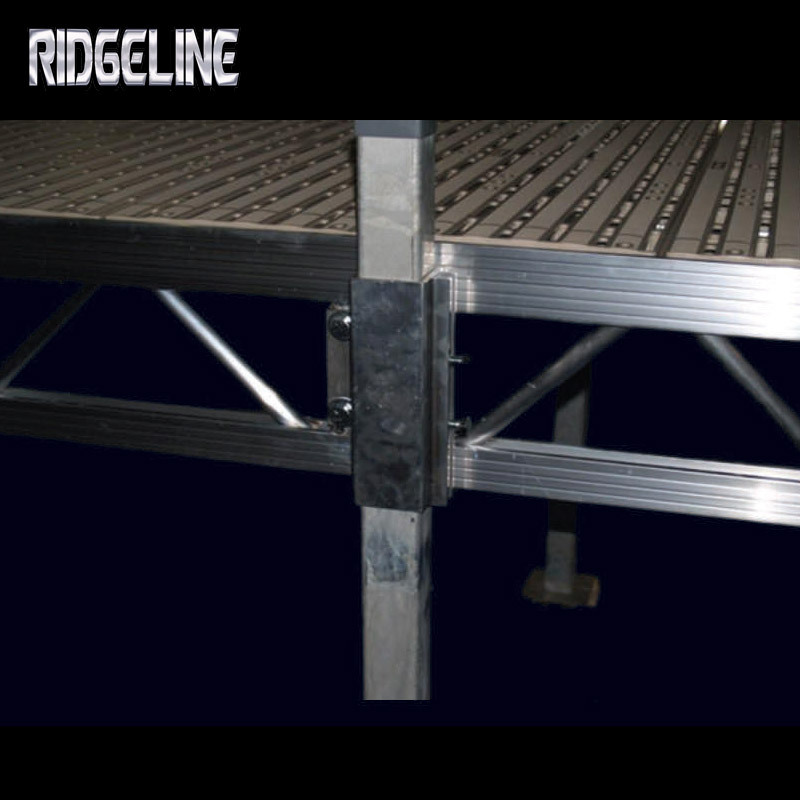 Mounting Brackets Every 4 Ft.
Our design makes modular a breeze. Switch-up or add-on to your layout as you see fit. "Quick Connect Buttons" Standard On Sections With Legs. 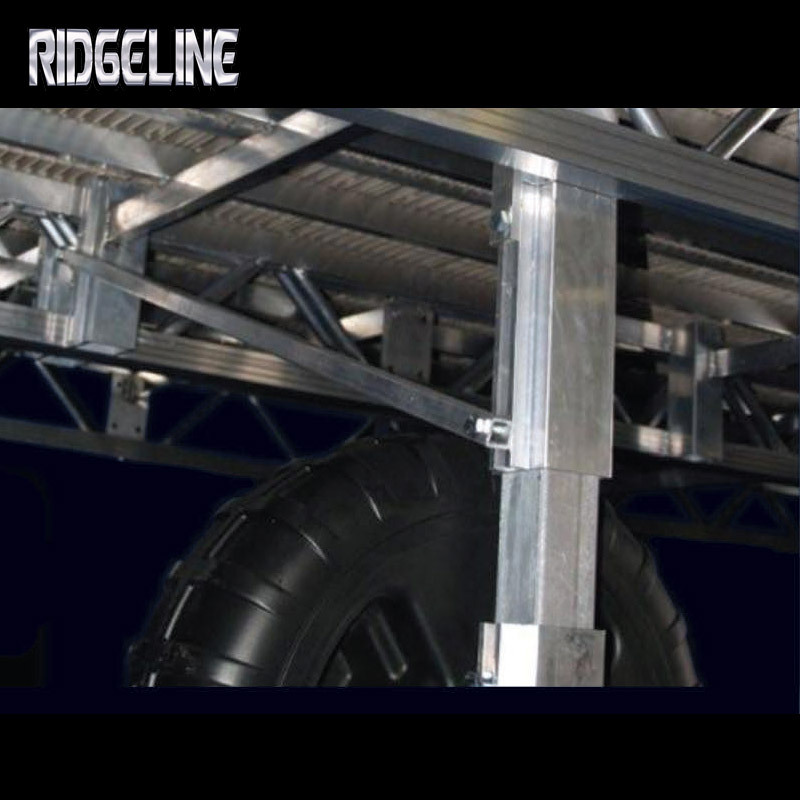 Quick Connect Plates are standard to make it a simple upgrade to your new wheeled sections. 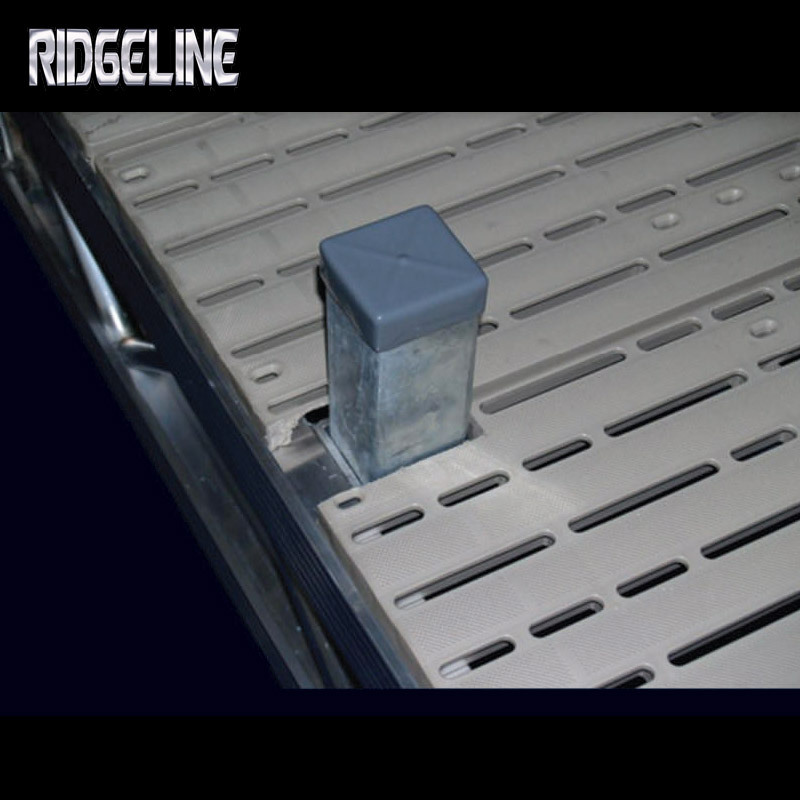 Hinge system makes it easy to move your dock. Lake bottoms are an unknown and uneven terrain. 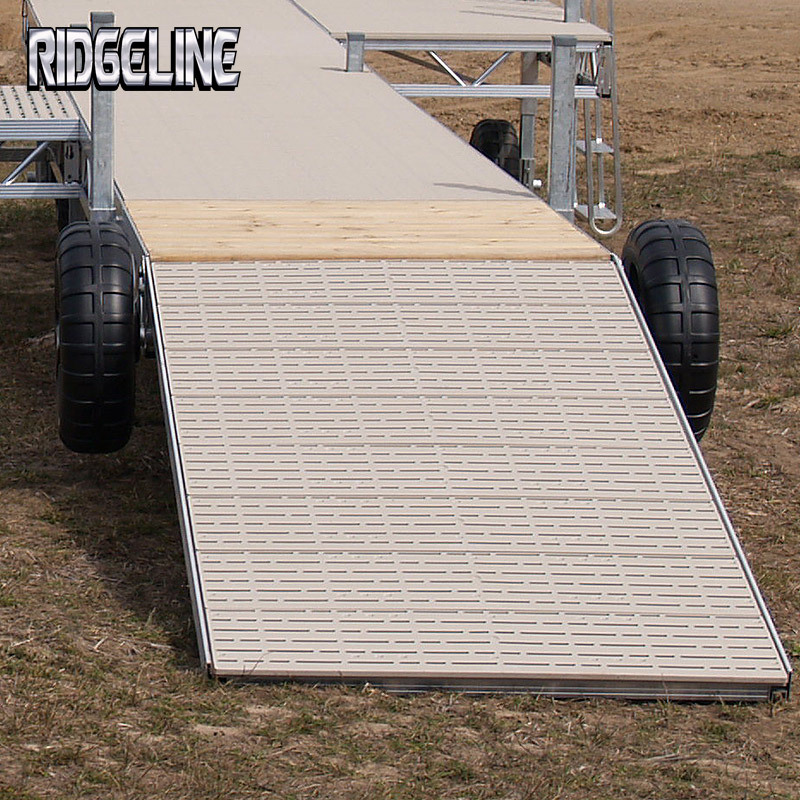 Nothing our dock can’t handle – leveling is made easy by design. Sound confusing? 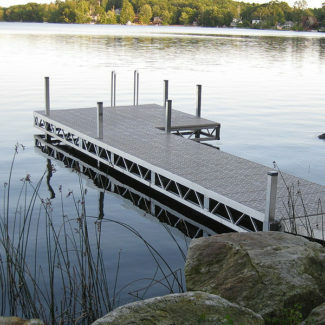 That’s dock talk for super sturdy construction and the best quality around for residential docks. In fact, we use 1” round heat-treated truss rods to make every dock tough as hell. 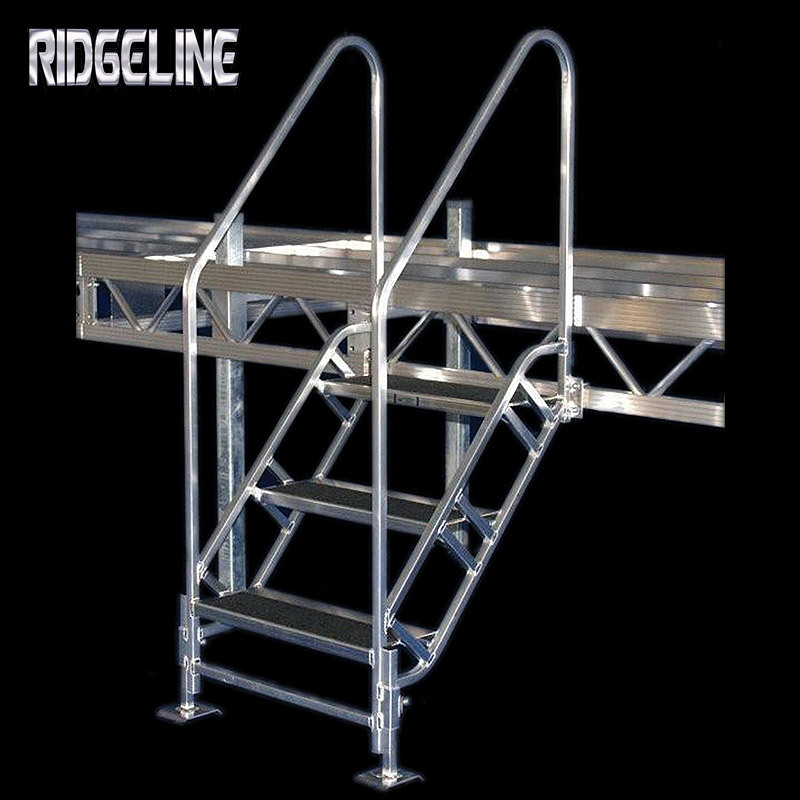 Strong and sturdy tubes with inside-the-frame leg pockets allow you to launch your boat or pontoon without the worry of damage. 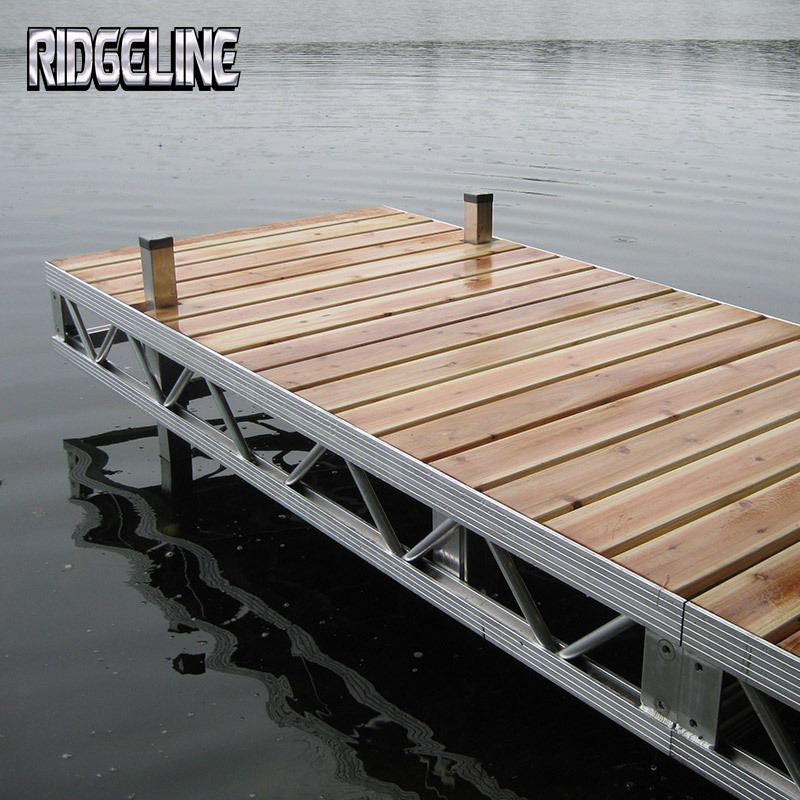 It’s a smart design idea that makes our docks safe and sturdy. 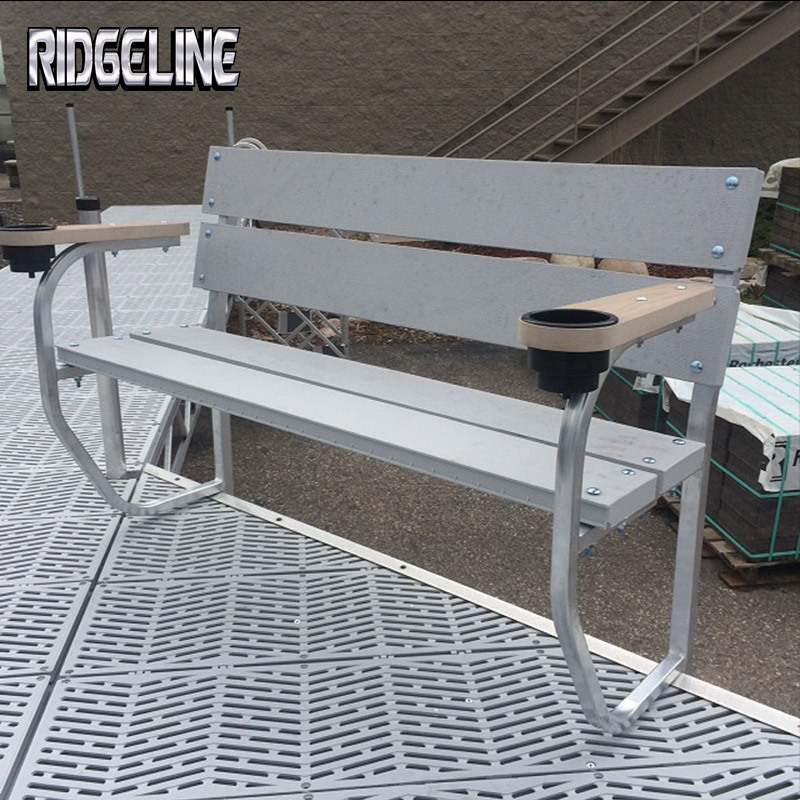 Our docks come standard with Corner Leg Supports for all ‘L’ or ‘T’ configurations – BONUS! 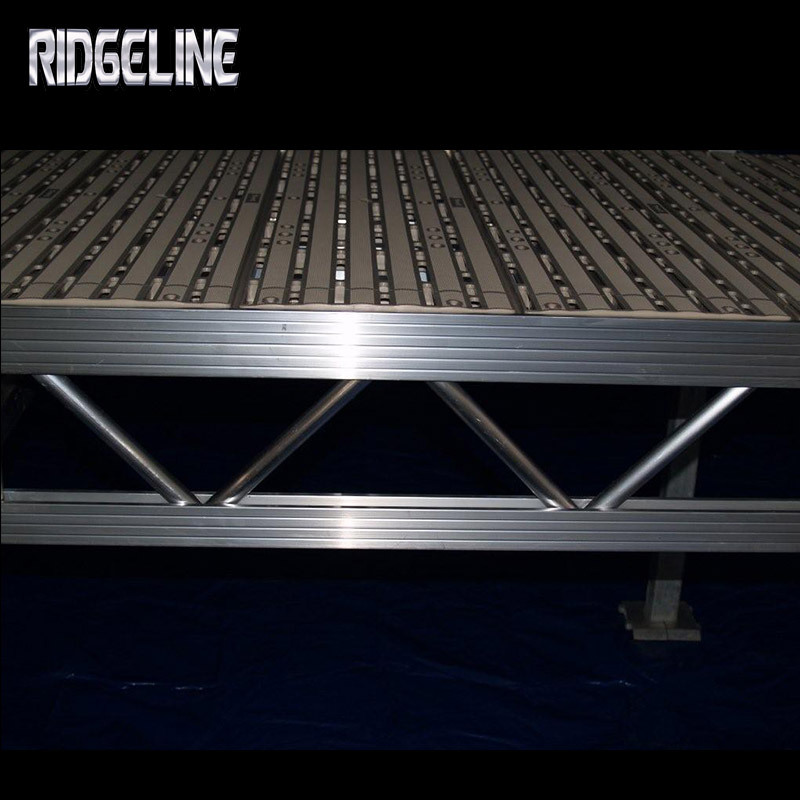 If your Premium configuration includes a patio then our stabilizer kit comes standard. 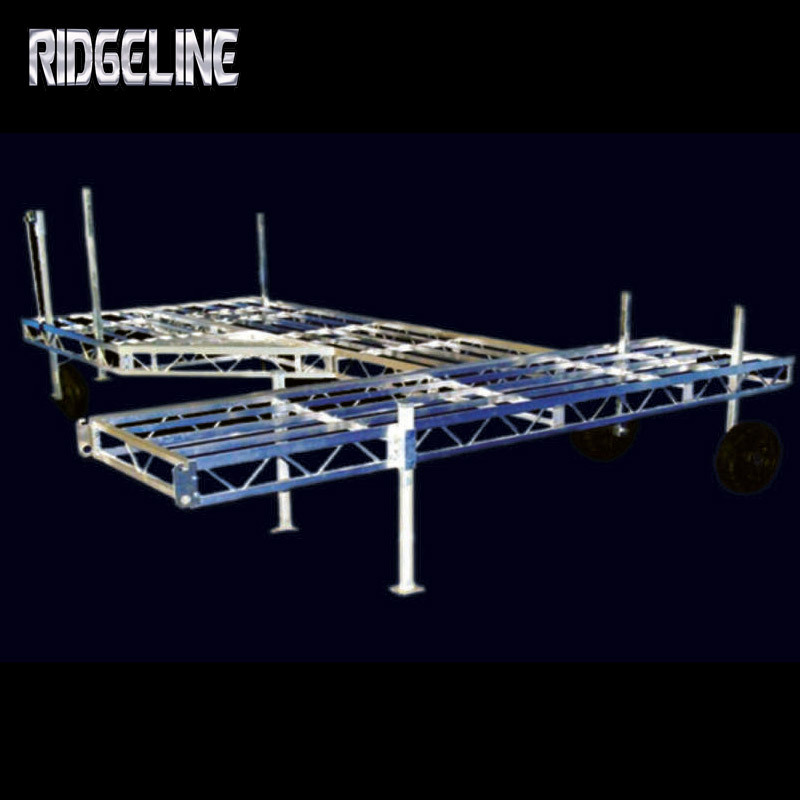 Sturdy, no-sway design eliminates that awful side-to-side movement that can make the best captain seasick. You’re welcome Skipper. 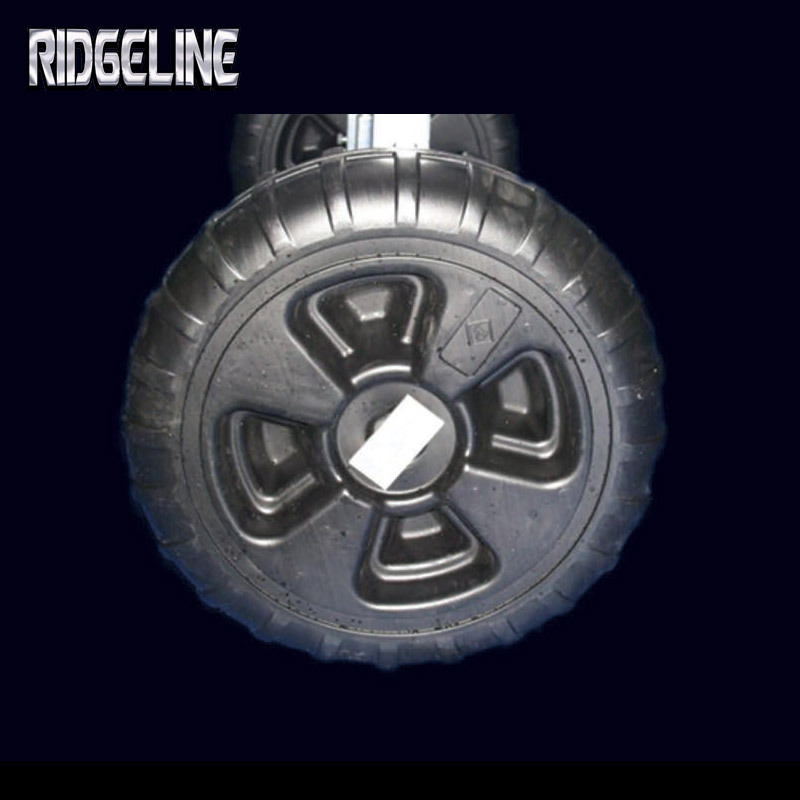 Our wheel kits get you in and out of the water without hesitation – they’ll never go flat or deteriorate. 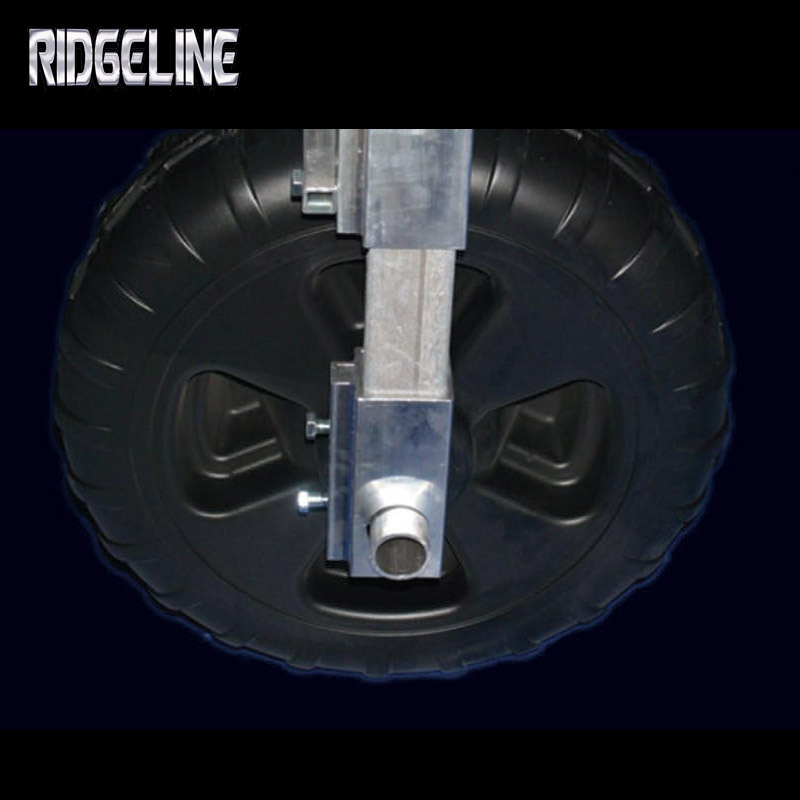 The standard Extended Wheel-End Pockets provide increased dock stability. 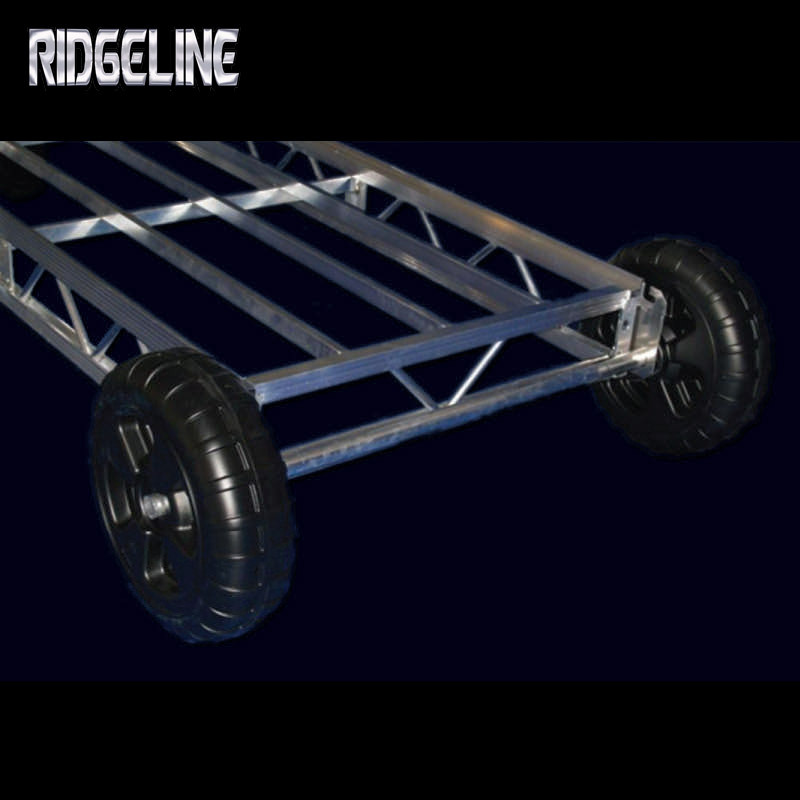 And the Rotating Stub Axle Design allows you to move your dock 90° or 180° or whatever direction your heart desires. It’s a cinch! This kit adds a nice touch to any shoreline. 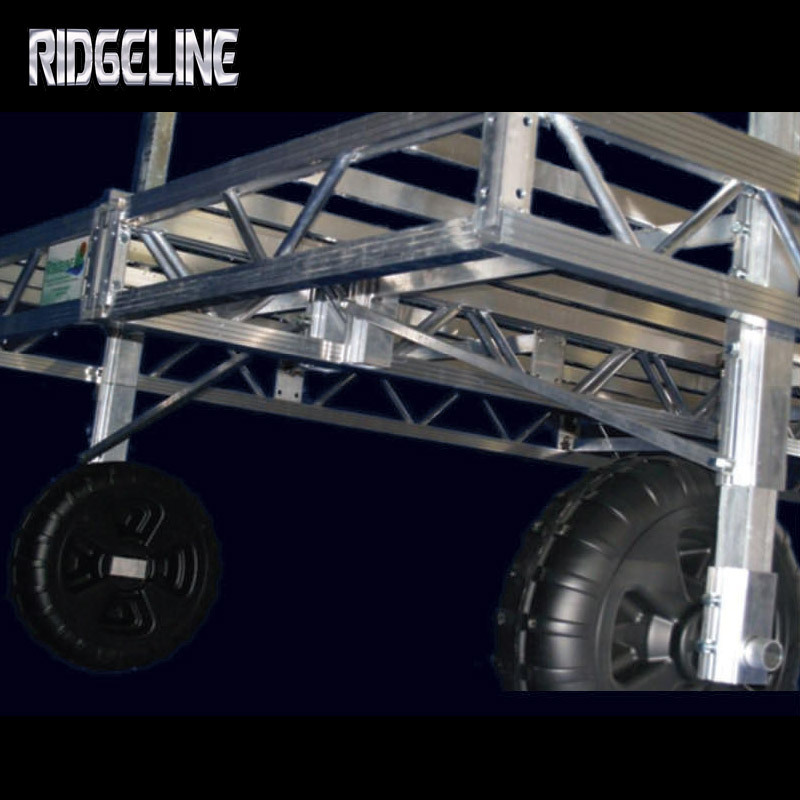 Add a Shore-End Wheel Kit to make it even easier and safer to move your Premium dock. No lifting required. 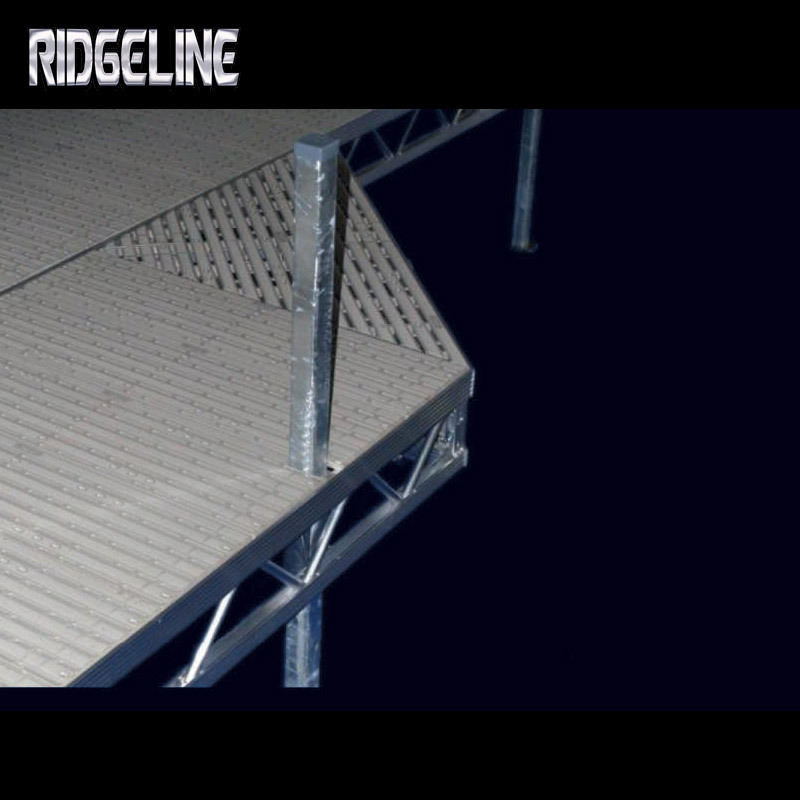 A great option that can really tie your Premium dock configuration together. Adds much needed real estate for a swim ladder and all-around safety. QUALITY WELDS. BACKED FOR A LIFETIME. We strive to be the best and that is why we back it up with a Lifetime Warranty on all Premium docks. 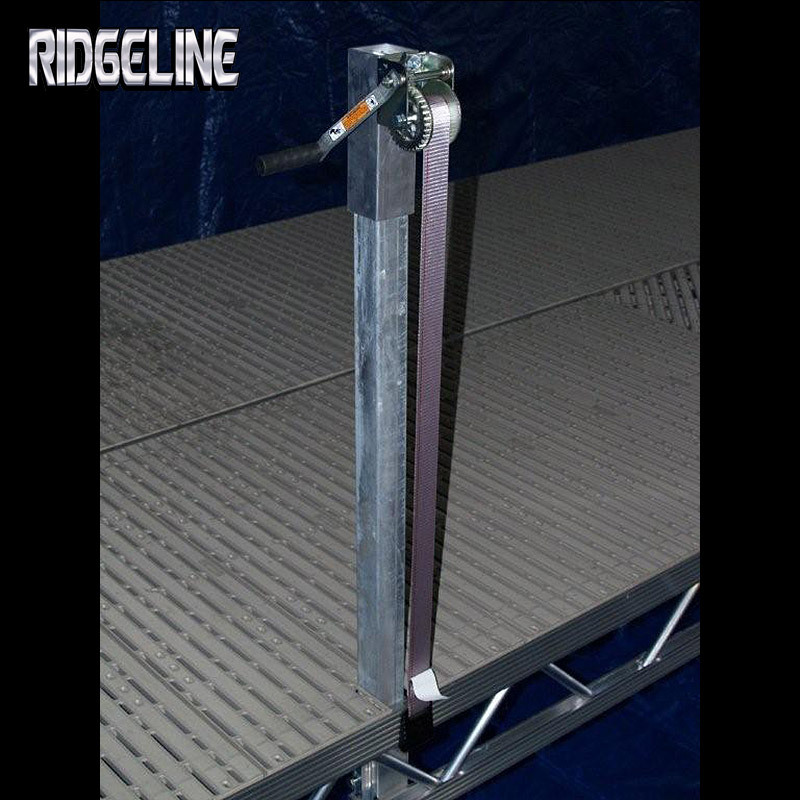 Large aluminum tubes, beefy channel truss design, and heat- treated truss rods are just a few reasons our docks stand the test of time. You can rest assured that this will be the only dock you’ll need to buy – guaranteed. Questions, requests or just wanna talk about fishing? Shoot us a line – we’re ready to field your questions and help bring your dream dock to life. 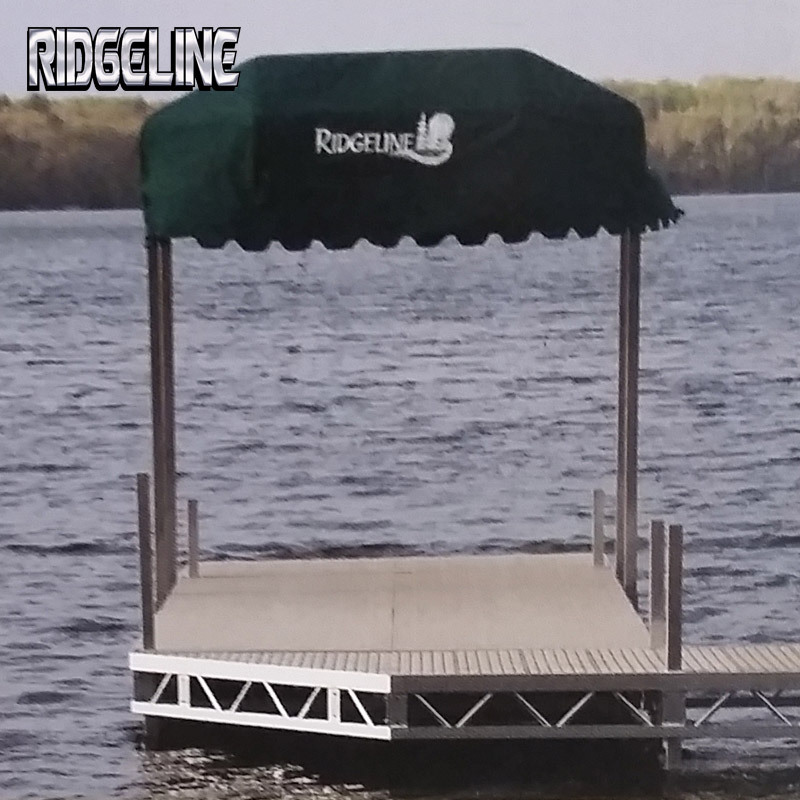 Ask for it by name, the Ridgeline Premium dock is best you can get on any shoreline.